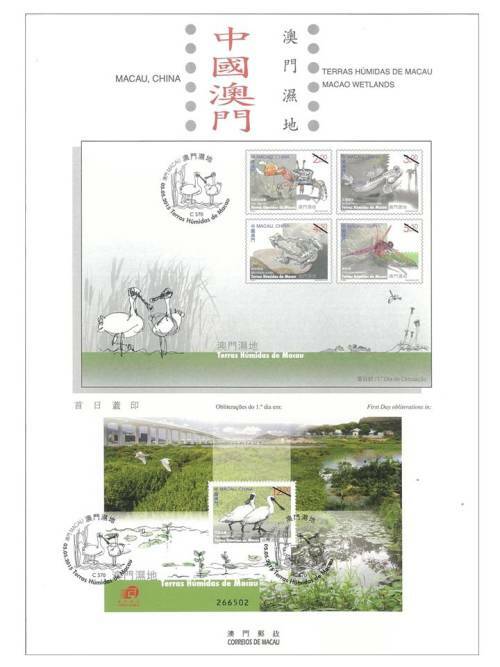 China Central Television (CCTV) initiated a large-scale charity programme “Beautiful China – Tour of Wetlands” in May 2013, and launched a series of activities, including an online public vote, and according to the comprehensive evaluation of the organizing committee, experts and scholars on the prominence of wetlands, Macao was successfully included in the list of “China’s Top Ten Charming Wetlands”. 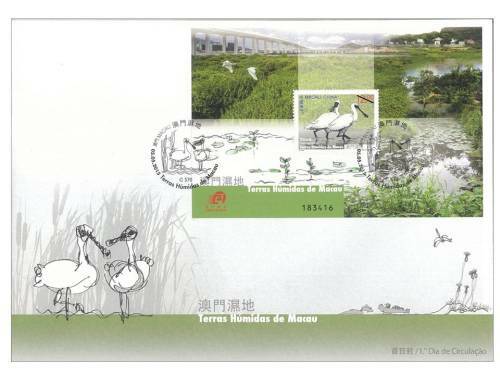 As an affirmation of Macao’s conservation works, the award also helps awaken public awareness of natural resources. 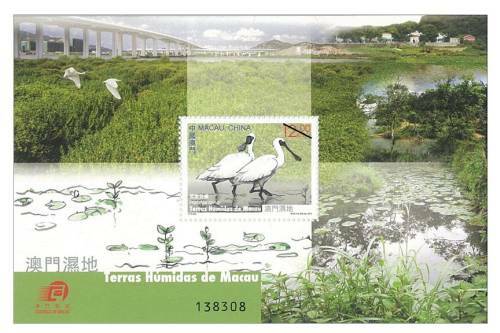 Macao Post will issue the stamp theme “Macao Wetlands” on 5th May, 2015. 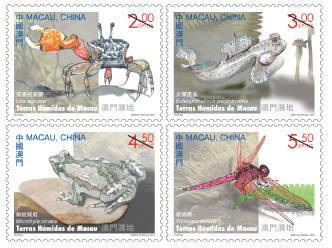 This issue includes a set of four stamps and one souvenir sheet, the stamp images illustrate the animals species are: Fiddler Crab (Uca arcuata), Bluespotted Mud-skipper (Boleophthalmus pectinirostris), Ornate Pigmy Frog (Microhyla ornata), Crimson Dropwing (Trithemis aurora) and Black-faced Spoonbill (Platalea minor), and the image of souvenir sheet shows the major wetlands in Macao. 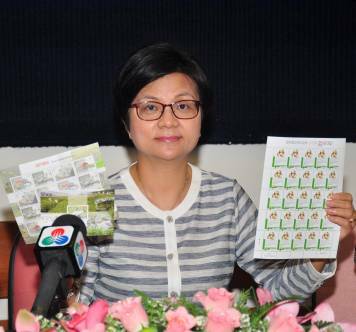 The stamp designer of this issue is Ms. Yu Si, and the text of the information brochure is written by the Civic and Municipal Affairs Bureau. 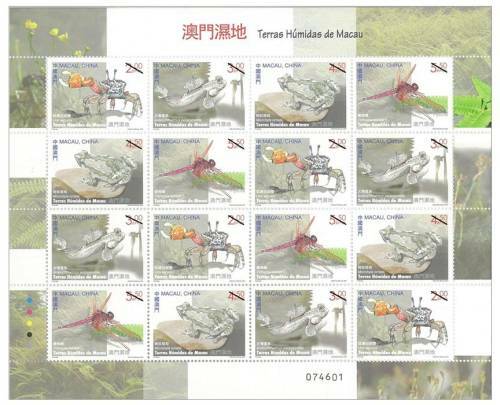 This is the sixth issue in 2015. 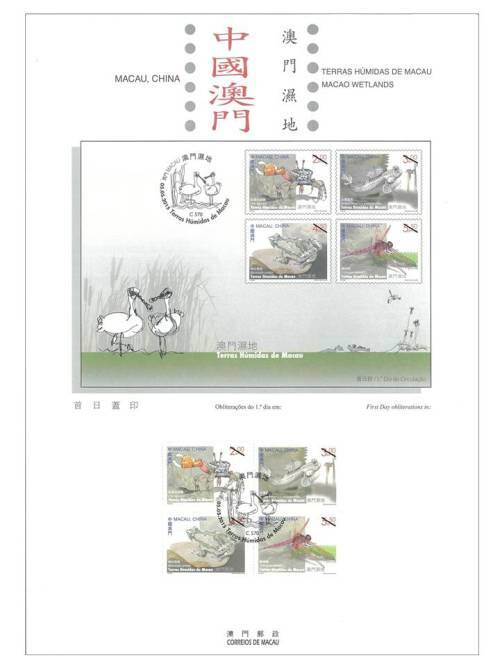 The previous issued stamps are “Lunar Year of the Goat” on 05/01/2015, the label stamp “Lunar Year of the Goat” on 28/01/2015, “110th Anniversary of Rotary International” on 16/02/2015 and “Mainland Scenery VI” on 01/03/2015. 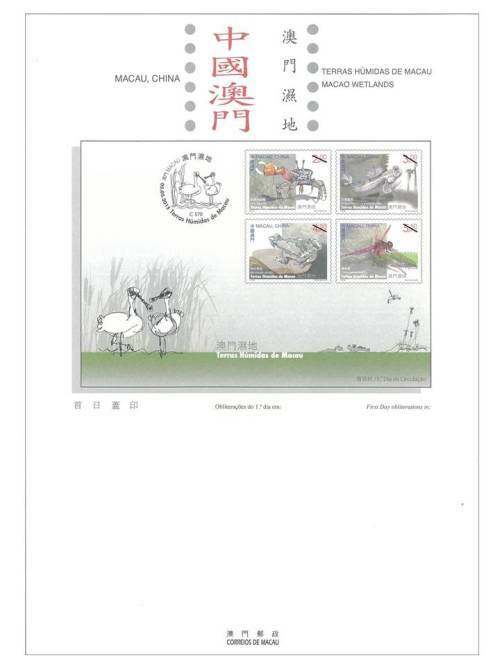 The stamp “25 Years of AICEP” to be issued on 27/04/2015. 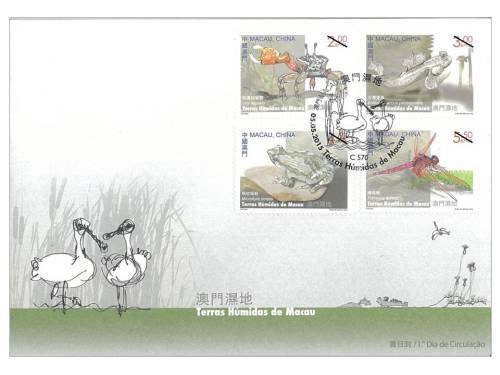 Technical Data of Stamp "MACAO WETLANDS"